So fighting bad guys is an expected vocation for a superhero. But how could there possibly be Realtor superheroes? And would they use x-ray glasses to view inside homes to find potential problems, carry an anti-kryptonite pen to protect against real estate ‘evil doers,’ or hold their trusty multiple listing lockbox keycard in a utility belt? While not superhuman, some real estate agents stand far apart from others. And when hundreds of thousands of dollars are literally on the line during your next home sale or purchase, chances are you’ll feel better throughout the entire process when working with a truly ‘super’ Realtor. But is it possible to easily locate a terrific Wilsonville real estate agent that’s not only experienced, but also dedicated, plus recognized for excellence among his or her peers? You’re about to find out. Superheroes are considered to be more than mere heroes, in part because their achievements transcend what is humanly possible. Superheros are often portrayed as heroes with extraordinary, superhuman powers. So while no Realtor is superhuman, in comparing performance, it’s clear that sometimes a single real estate agent can outperform several other, less productive Realtors. There are different reasons why this is true and part of it relates to the ‘Pareto principle,’ better known as the ’80-20′ rule, where 20% of a group is frequently responsible for as much as 80% of the results. The potential list of treacherous adversaries is long. 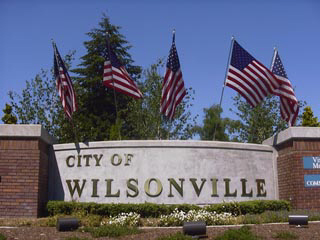 Issues that could put the kibosh on your Wilsonville real estate transaction (while potentially costing you a lot of money) include dry rot, deferred maintenance (think leaky roof), a poor home inspection, title report issues, a low appraisal or a picky loan underwriter. If you’re a homebuyer, you can add certain challenging homeseller attititudes to the potential list of transaction implosions and if you’re a homeseller, you might include certain ham-fisted home buyer attitudes. The bottom line is that in order to deal with a multiplicity of potentially detrimental factors affecting your home purchase or sale, it’s clearly best to be prepared. And when you’re knee deep in transaction challenges, that’s not the time to wish you were working with someone more qualified. The CRS organization has an entire system devoted to a virtually seamless referral system for buyers and sellers who seek a super Certified Residential Specialist Realtor. For example, I recently received a phone call from an Idaho CRS agent working with buyers from Oregon. These buyers found their ‘perfect’ Idaho home and needed to sell their Wilsonville, Oregon home in order to purchase the Idaho property. The Idaho CRS Realtor suggested they work with a local CRS agent to most effectively sell their Oregon home. Mere minutes upon receiving a phone call from the Idaho CRS agent, I was in contact with these Wilsonville homeowners, then proceeded to list and successfully sell their Wilsonville property, all in short order. To most homebuyers and homesellers, one key to a Realtor’s stellar real estate performance is consistent performance. Another is experience. Yet one more is education. The advantage to you as a homebuyer or homeseller in working with a CRS Realtor is that you get the entire bundle of keys and reduce your chances of being ‘locked out’ in your next transaction. What if there was a way you could locate a real estate ‘superhero’ for your next Oregon transaction? Thanks to the CRS referral network, there actually is an easy way to find a ‘super’ Realtor, no matter where you live. Perhaps the simplest is to contact a CRS, like Wilsonville Realtor Roy Widing, CRS with Certified Realty. And if you’d like to reach a CRS Realtor in a different state or region of the United States, Roy can connect you with a number of qualified Certified Residential Specialists near you and at no charge. From there you can interview one or more CRS Realtors and make your own decisions. Do you have real estate questions? Contact Wilsonville Realtor Roy Widing, CRS using the convenient form below.